Quality content on creativity, innovation and imagination. Activism July 30, 2018 / By Austin Dacey Ph.D.
A conversation with Dr. Alina Reznitskaya on education for dialogue. If there is one thing on which Americans across political party lines can agree, it is that Americans can not agree on anything across political party lines. An April 2018 report from the Pew Research Center found wide partisan divides in opinion on crucial questions about the U.S. political system, such as whether it affords everyone an equal opportunity to succeed--with 74% of Republican and Republican-leaning and 37% Democratic and Democrat-leaning Americans responding that this describes the country very or somewhat well--and whether the rights and freedoms of all people are respected, on which the ideological gap is 60-38%. On almost no feature of U.S. political life, however, was there more convergence than on the question of whether “people agree on basic facts even if they disagree politically.” Here two-thirds of Americans across the spectrum took an equally dim view of the prospects for a non-partisan version of reality. This finding takes its place in a grim catalog of symptoms of an ailing political culture: increasing polarization, declining trust in others, and a widespread perception of unprecedented rancor in public discourse. If democracy is “government by conversation,” an alarming number of Americans appear unwilling or unable to participate in it. As a college professor, I am regularly struck by the intense desire of undergraduates to talk to each other constructively about contested questions and even more by their difficulty in doing so. When, as a demonstration aimed at shaping the classroom culture early in the semester, I invite students to discuss an ethical or public policy question without the aid of my facilitation, the results–when and if awkward silence is ever overcome–tend to fall into a few patterns that the participants afterwards describe as dissatisfying. Talk may be dominated by one or two (often male) voices, opposing camps may lob slogans at each other that fail to connect, or groups may quickly find refuge in a superficial consensus that “everyone has a different perspective.” Sometimes individuals’ beliefs are privately shifted by the encounter with others. But almost never do people succeed in actually reasoning together. What I am learning from research in education and psychology is that these outcomes should not be surprising in the least. 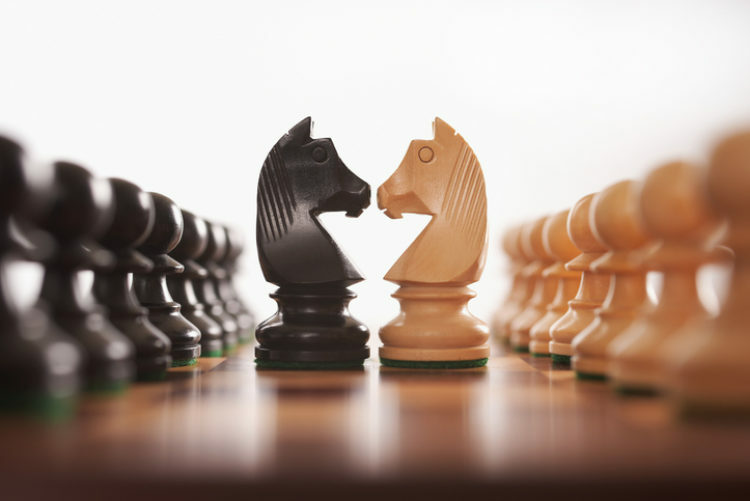 While humans may be naturally good at finding reasons to support our own positions or to attack opposing positions when challenged, we are not similarly good at listening to others or challenging ourselves. And most of us emerge from our compulsory education without ever learning how. One of the researchers and practitioners working to change this is Dr. Alina Reznitskaya, an educational psychologist and professor in the department of Educational Foundations at Montclair State University. Reznitskaya is the author, with Ian A. G. Wilkingson, of The Most Reasonable: Answer Helping Students Build Better Arguments Together, recently published by Harvard Education Press. I asked her about the kind of talk that students encounter most often in schools and what this might mean for us as educators and citizens. In the experience of students in K-12 education in the U.S. generally, what sort of classroom talk is most prevalent? Unfortunately, research consistently shows that discussion and dialogue are largely absent from today’s classrooms (Alexander, 2008; Applebee, Langer, Nystrand, & Gamoran, 2003; Nystrand, Wu, Gamoran, Zeiser, & Long, 2003; Smith, Hardman, Wall, & Mroz, 2004). Studies of classroom instruction reveal that teachers tend to dominate interactions, avoid contestable issues, and use talk largely to maintain control and assess students’ knowledge. Such teaching practices have been termed monologic (Alexander, 2006; Nystrand et al., 2003), as they reflect disproportionate authority over the content and form of communication exercised by the teacher. What factors explain the particular culture of talk found in U.S. classrooms? A variety of reasons have been offered to explain “the failure of dialogue” (Burbules, 1993, p. 144), including the power of tradition, crowded public classrooms, and the unprecedented expansion of high-stakes standardized testing. While changing the patterns of classroom discourse requires efforts from a variety of actors in an educational system, our work aims at developing instructional strategies and curriculum materials that can support teachers who wish to modify their interactional patterns. How can classrooms be more dialogic? In our work, we follow the notion of dialogic teaching proposed by Alexander (2008). According to Alexander, dialogic teaching is a general pedagogical approach that capitalizes on the power of talk to foster students’ thinking, learning, and problem solving. It requires teachers to have a broad repertoire of discourse practices and to be able to strategically use different types of discourse to address specific instructional goals for their students. Although these discourse practices include traditional kinds of talk, such as recitation and exposition, dialogic teaching privileges discussion and dialogue. What is the case in favor of dialogic teaching? Dialogic teaching is consistent with social-constructivist theory that views language as fundamental to thinking and learning (Mercer & Littleton, 2007; Vygotsky, 1968; Wells, 1999). According to this theory, talk helps us to develop and organize our thoughts, to reason, to plan, and to reflect on our actions. Vygotsky (1968), who emphasized the primacy of language in thinking, wrote that “thought is not merely expressed in words; it comes into existence through them” (p. 218). In addition, learning is seen as a process of internalization of cultural tools, or ways of talking, acting, and thinking (Mercer & Littleton, 2007; Vygotsky, 1968; Wells, 1999). Students need to encounter or use these tools to develop their mental capacities. In addition to strong theoretical foundations, we also have emerging evidence from empirical studies documenting the benefits of dialogue-intensive instruction. For example, participation in discussions focused on argumentation helps students improve reasoning, argumentative writing, and inferential comprehension of text, as well as develop deeper conceptual understanding of disciplinary concepts and principles (Kuhn & Crowell, 2011; Mercer et al., 1999; Nussbaum & Sinatra, 2003; Reznitskaya et al., 2009). What approach do you present in The Most Reasonable Answer? Our work is aimed at helping students develop argumentation skills and acquire deep understanding of the subjects. There is growing consensus among educators that these more ambitious goals of education are better achieved by engaging students in a type of talk during which they use argumentation to co-construct personally meaningful knowledge (Asterhan & Schwarz, 2007; Mercer, Wegerif, & Dawes, 1999; Nussbaum & Sinatra, 2003). We characterize this type of talk as inquiry dialogue (Walton, 1998). The purpose of inquiry dialogue is to collectively search for the most reasonable answers to contestable questions, rather than to convince an opponent (as in persuasion) or to reach a middle position through making concessions (as in negotiation). Inquiry dialogue is neither teacher-centered, nor student-centered; rather, it is truth-centered, with the teacher supporting students’ engagement in rigorous argumentation to advance towards the most reasonable conclusion (Gardner, 2015). It would be a gross oversimplification to suggest that monologic educational environments are primarily responsible for the failures of reasoned debate in contemporary public life (just as it would be an exaggeration to suggest that political discourse has never been more vitriolic–the rhetoric surrounding the 1800 presidential contest between Thomas Jefferson and John Adams makes 2016 sound quaint). Nevertheless, if schools are, as the developmental psychologist Constance Flanagan argues, the primary “mediating institutions” by which young people learn to relate to authority and to each other in a public space, then the character of talk in schools is crucial to shaping the political socialization of citizens. The question is whether this socialization is preparing citizens for the practice of deliberation in a democracy, a practice of asking questions, listening to arguments, offering arguments, and evaluating arguments in public. Alexander, R. J. (2006). Towards dialogic teaching: Rethinking classroom talk (3rd ed.). York, UK: Dialogos. Alexander, R. J. (2008). Essays on pedagogy. New York: Routledge. Burbules, N. (1993). Dialogue in teaching: Theory and practice. New York: Teachers College Press. Gardner, S. (2015). Commentary on 'Inquiry is no mere conversation'. Journal of Philosophy in Schools, 2(1), 71-91. Mercer, N., & Littleton, K. (2007). Dialogue and the development of children’s thinking: A socio-cultural approach. London: Routledge. Mercer, N., Wegerif, R., & Dawes, L. (1999). Children's talk and the development of reasoning in the classroom. British Educational Research Journal, 25(1), 95-111. Nussbaum, E. M., & Sinatra, G. M. (2003). Argument and conceptual engagement. Contemporary Educational Psychology, 28(3), 384-395. Nystrand, M., Wu, L., Gamoran, A., Zeiser, S., & Long, D. A. (2003). Questions in time: Investigating the structure and dynamics of unfolding classroom discourse. Discourse processes, 35(2), 135-200. Vygotsky, L. S. (1968). Thought and language (newly revised, translated, and edited by Alex Kozulin). Cambridge, MA: MIT Press. Walton, D. (1998). The new dialectic: Conversational contexts of argument. Toronto, CA: Univeristy of Toronto Press. Wells, G. (1999). Dialogic inquiry: Toward a sociocultural practice and theory of education. Cambridge, UK: Cambridge University Press. 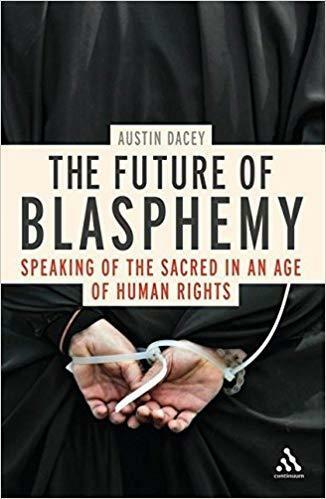 Austin Dacey is Assistant Professor in the Department of Humanities at Mercy College in New York, where he teaches seminars in critical reasoning. Previously he served as a representative to the United Nations for non-governmental organizations defending freedom of conscience and freedom of expression including the Copenhagen-based Freemuse: The World Forum on Music and Censorship. His work as an author and activist has been profiled by the New YorkTimes, Wall Street Journal, National Public Radio, Voice of America, and Al Jazeera. His writings have appeared in numerous publications including USA Today, Dissent, and the New York Times. 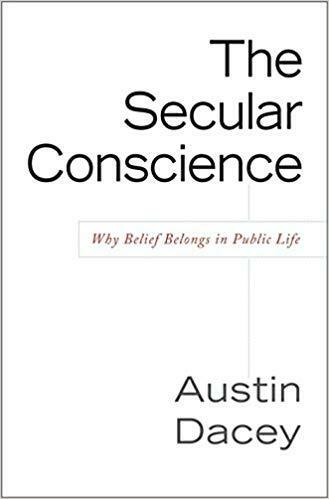 "The Secular Conscience: Why Belief Belongs in Public Life"
"The Future of Blasphemy: Speaking of the Sacred in an Age of Human Rights"
This article originally appeared at Psychology Today. More about Austin Dacey Ph.D.
Creative Expression: Are Some Kids Missing Out? What Does It Mean to Be Self-Actualized in the 21st Century?